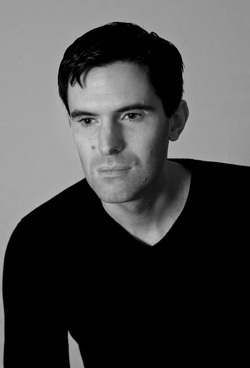 Born in 1976 in Stafford, England, Ben Cheetham moved to Sheffield in 1997 to study archaeology. He's been there ever since. His early years in Sheffield were divided between studying, writing and rock climbing. His days of digging up pottery shards and dragging himself up nerve-shredding cliffs have been consigned to the past. Nowadays - when he's not chasing around after his son, Alex - he spends most of his time shut away in his study racking his brain for the next paragraph, the next sentence, the next word. Ben is an award winning writer and Pushcart Prize nominee. His writing spans the genres from horror and sci-fic to literary fiction, but he has a passion for gritty crime fiction. His short stories have been widely published in the UK, US and Australia. In 2011 he self-published 'Blood Guilt' as an e-book. The novel went on to reach no.2 in the national e-book download chart, selling well over 100000 copies. In 2012 it was picked up for publication by Head Of Zeus. Ben's writing stems from a desire to confront the darker side of human nature, a need to answer questions that wouldn't exist in an ideal world. Questions like: how far would you go to protect a child from the human monsters that stalk our streets? Would you break the law? Would you kill? Could you? And if you did, what would that make you? A hero? Or a monster yourself? The brutal enforcers from the cop movies of the past wouldn't hesitate a heartbeat to cross that line. Today's internet-connected world is more complex. And real people are infinitely more complex. Those are the kinds of people Ben writes about. People who question and agonise. People full of doubts and fears. People who even if they would cross that line, don't know if they could or should.